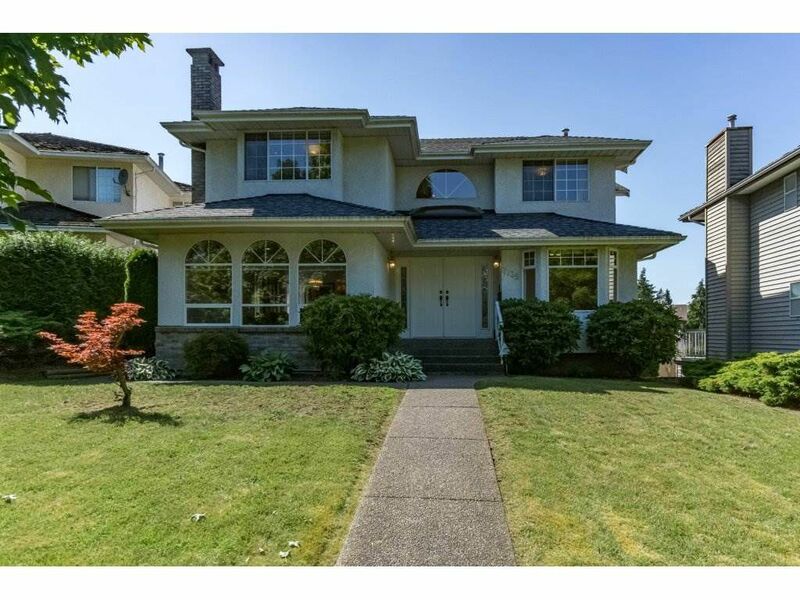 Beautifully maintained 2 story plus basement home w/ 4 bedrooms up, across from Robert Burnaby Park. Near school & transit and view of North Shore Mountains from the decks off master bedroom & main floor kitchen/family/eating areas. Easy access to #1 Hwy, Costco. Double garage and plenty of parking. Hot water heat (5 zone), 3 full & 1 half baths, kitchen w/ island that overlooks eating area & family room w/ gas F/P and walk-out onto large deck w/ view! All this on 6,000 sf lot w/ lane.